Pumpkin #12 on the Gothtober calendar is a beautifully illustrated German counting lesson by Christy Stout Chambers! 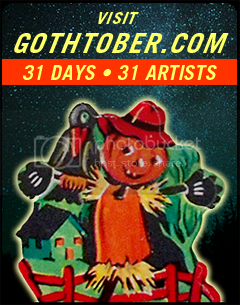 You see, as it is the 10th year of Gothtober, I asked contributors to either follow the basic “Halloween Theme” like the very first Gothtober, or do something with the theme of “10.” This is the first piece so far that addresses the power of 10! This is also the very first international submission this year, Christy and her family moved to Frankfurt, Germany, and in the middle of it all, Christy was still able to get her piece out to us here in California! Hooray computers! With the help of my German friend Annika the whole family is learning German…. Which is hard. We all just thought it would be fun to have our piece be about what is going on right now for us. We have all mastered counting to ten so it seemed appropriate. 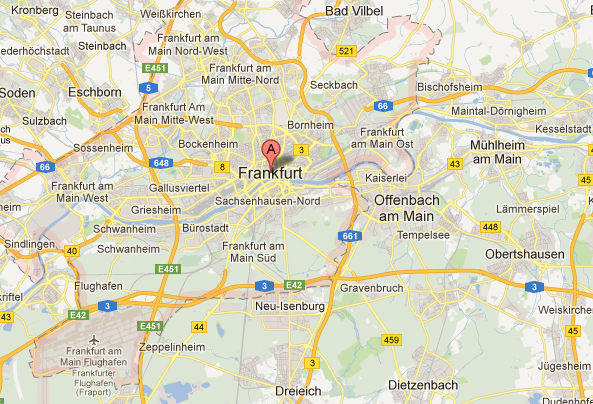 We are living in Frankfurt Germany, which is very close to Hanau where the brothers Grimm lived when they were little. They grew up playing in the forests here and the traditional folk stories told by the locals are what eventually became the fairy tales we all know today. At one point, Christy even used an airplane window as a light box to help her transfer sketches from her sketchbook! The pictures were drawn by hand and painted with watercolor, old school style. Since we were literally moving while I was working on them, I had no fancy materials. The only art supplies I could locate were a pencil, ink pen and my trusty box of watercolors which I had taken on the plane. I concur, as an illustrator myself, I think old school supplies pack a whollop that computers still can’t touch, and the style of the artwork is full of such loose and exuberant watercolor-y wonder, it is, dare I say, quite Grimm-like in its execution. The line work is contagious, making me itch to go find my own pens to make some fun drawings! They have pretzels and sausages. Right now everything is fall/ octoberfest themed. There is beer EVERYWHERE and in Frankfurt there is a ton of apple wine which is a regional bitter cider. It is sometimes served with haxen a crispy grilled pork shank. The Germans make over 300 kinds of bread so there is usually a bakery….and chocolates. There are a TON of Turkish immigrants so there is also “doner kebab” which is turkeys version of schwarma.